Should you buy or raise replacement females? Does it cost you less to raise than buy? 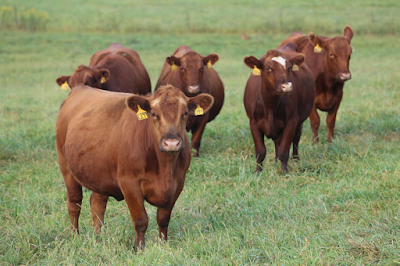 If you buy heifers, rather than raise, you need to have increased performance from the progeny of the purchased female. Typically, this means you need heavier weaning weights from that purchased heifer. Expanding is very expensive now. Risk management becomes a priority. Using genetic and genomic selection to focus on increased performance, efficiency, and quality can be an effective risk management tool. *Note, Dr. Schulz often referred to reproduction as lowly heritable. This is not actually born out by the data. 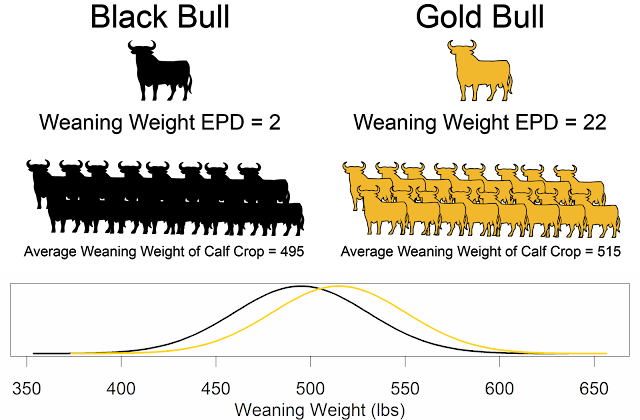 Genetics influences 14% of the variation in pregnancy; for comparison, genetics influences 20% of the variation in weaning weight. We can make substantial improvement in reproduction using genetics!